Our 40" table is made of quality “CARB" certified MDF material that is stronger and more durable than particle board or plastic. 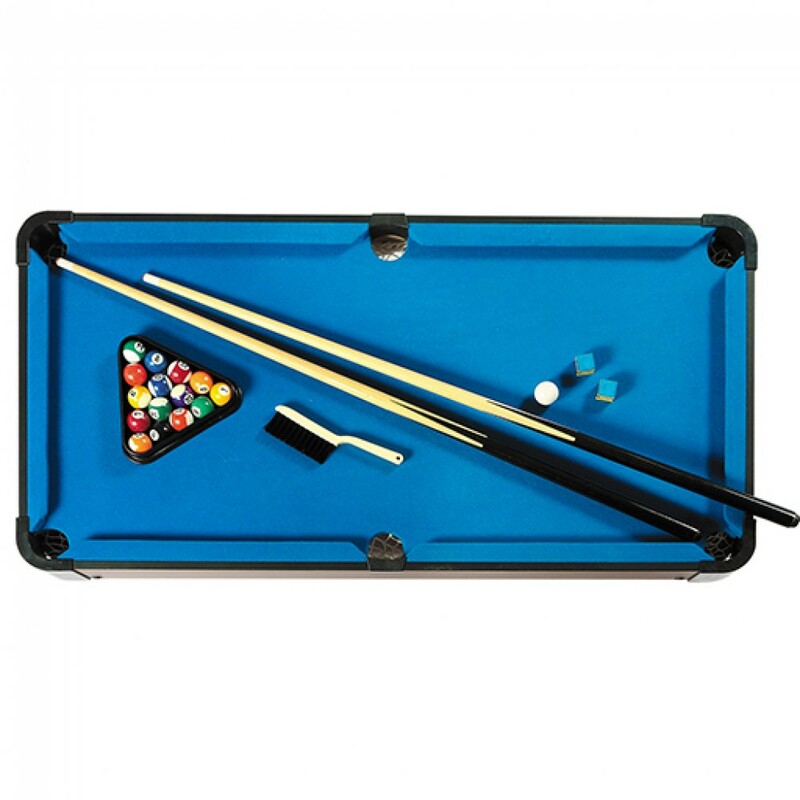 Compact size is big enough for a good game of pool, but small enough to easily store. 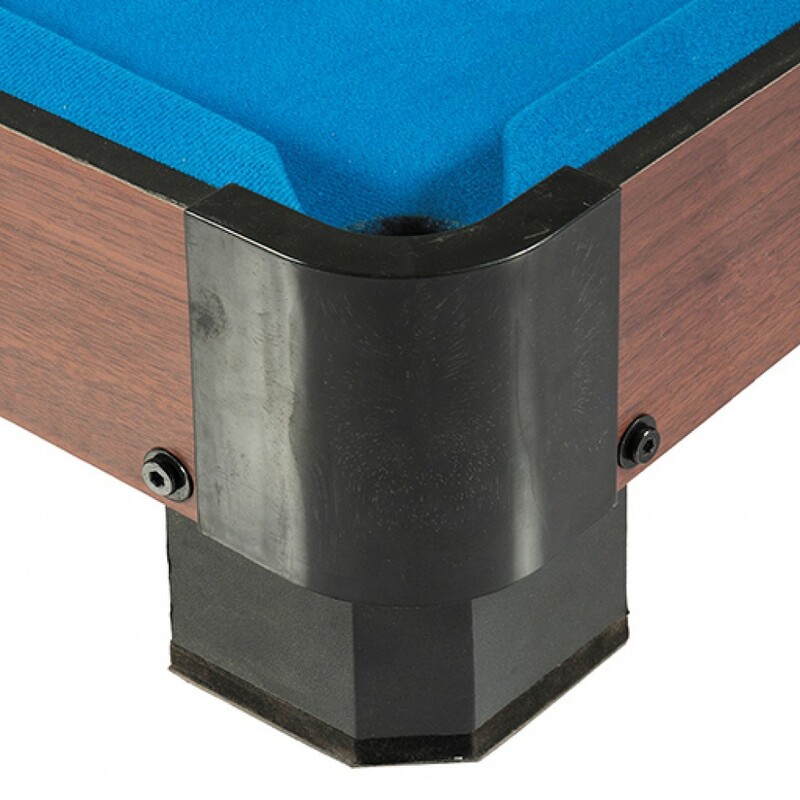 Rugged L-Shaped legs come with non-marking pads that will not mar furniture, floors, or tables. 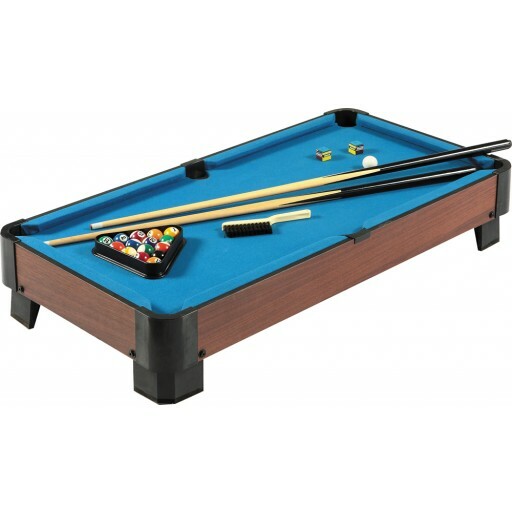 The table comes complete with Blue felt, 36" cues, billiard balls, chalk and a racking triangle. 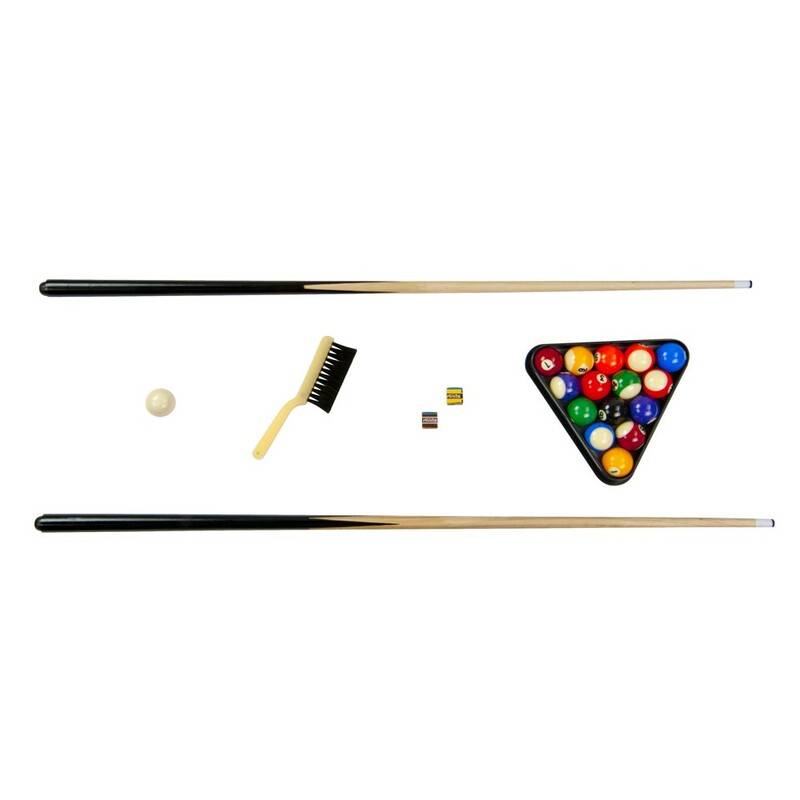 Turn your child's bedroom into his personal game room. Ships UPS. 180 Day Warranty.